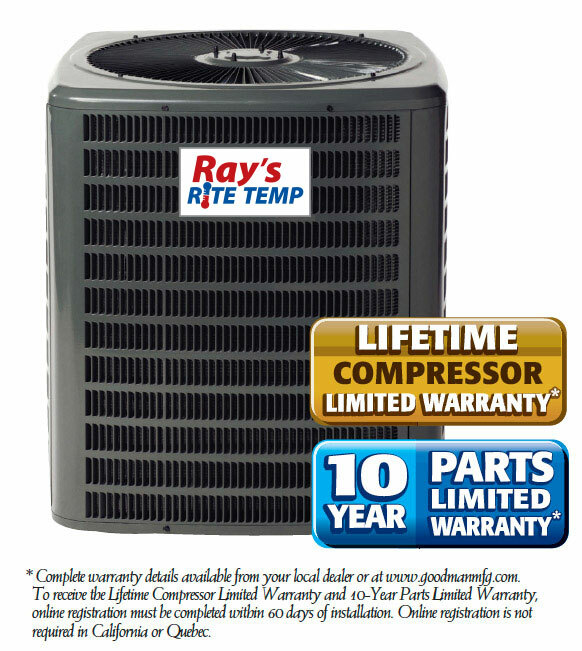 Ray’s Heating and Air is proud to announce that we now have our own brand of Heating and Air Conditioning equipment. 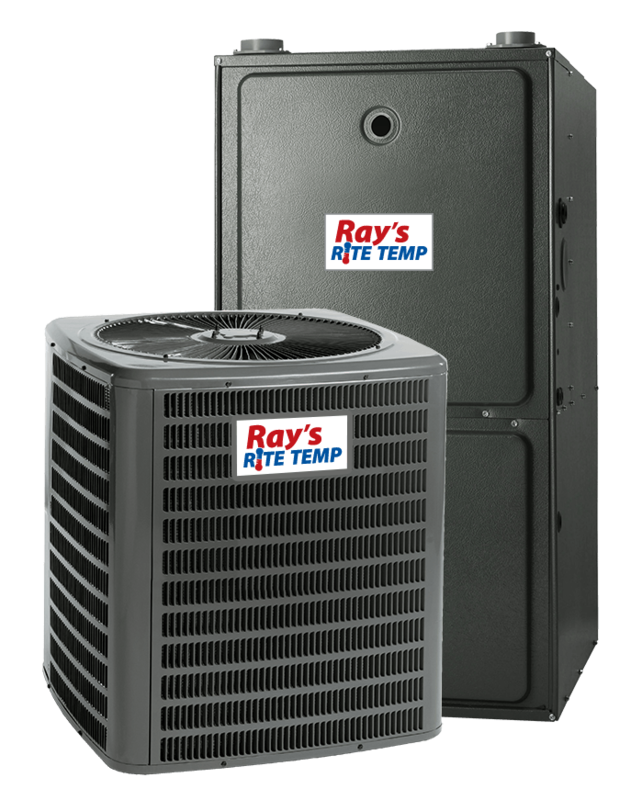 Our customers deserve the best heating and cooling equipment available and we believe Ray’s RiteTemp provides just that. Ray’s Heating and Air has teamed up with America’s largest producer of heating and cooling products to produce our Ray’s RiteTemp brand. 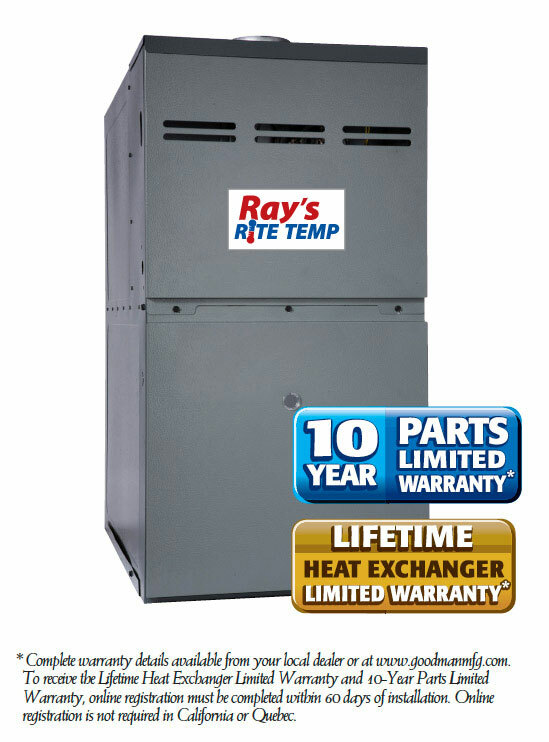 The Ray’s RiteTemp brand has taken out the middleman and the inflated advertising budgets to bring you a superior line of heating and cooling equipment at the right price. When it comes to recommending a brand for your cooling and heating needs, Ray’s Heating & Air knows best. After all they are the experts, the ones in the field who can accurately evaluate your specific needs and solutions. You may not know the brand of brake pads your trusted mechanic installed, but you trust your mechanic to make your vehicle perform the way it was meant to. Check out our Energy Savings Calculator to see what you could be saving! The best HVAC brand you’ve never heard of! For over three decades the Goodman brand has concentrated on something more important than simple brand recognition consumer advertising. We’ve focused on the design, engineering, and manufacturing of dependable products that have helped millions of homeowners achieve reliable, high-quality, and affordable indoor comfort. In 1975, Harold Goodman entered the HVAC manufacturing industry. He first made flexible air ducts and registers. Harold turned his sights to building HVAC equipment, recognizing the industries need for a high-quality, low-cost producer of central air conditioning systems. As luck would have it Harold purchased the manufacturing equipment, relocated to Houston Texas, and in 1982 entered the residential heating and air conditioning market. Harold was dedicated to building equipment that performed reliably, lasted a long time and solved many design issues. Goodman’s was purchased by the world’s largest manufacturing of HVAC products, Daikin, in 2013. Daikin is a Fortune 1000 company with more than 49,000 employees worldwide. Daikin has manufacturing operations in 18 countries and a sales presence in more than 90 countries. 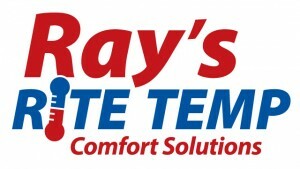 Contact Ray’s Heating & Air today to see how we can make whole house comfort a reality!